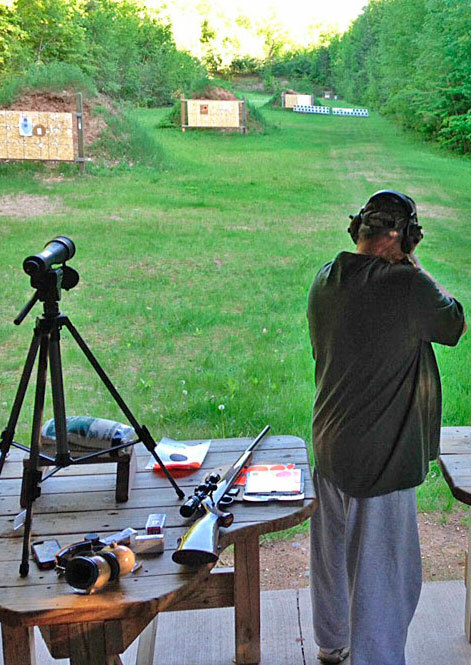 The range is for the exclusive use of local law enforcement, paid members, their immediate family and invited guests. Minor children must be under direct supervision of the club member at all times. GATE KEYS will be issued to all officers/directors, and maintenance. Dues paid members can obtain a key after paying a $10.00 refundable key deposit and attending a range orientation session, conducted by a club officer or designated member. All locks will change annually and new keys assigned to officers and dues paid members. Anyone giving their key to an unauthorized person, or allowing their key to be duplicated will be removed from the active roster. All rifle/pistol range users must sign in/out at the range shelter in order to use the range. This is an insurance requirement and will be enforced. All firearms must be transported to and from the range unloaded, encased or holstered. Automatic weapons are not allowed. Absolutely no alcohol or drugs on you or in you while on the Hayward Rod & Gun Property. NO SMOKING, EATING, or DRINKING while on the firing line. DO NOT handle firearms or stand at the firing line while others are down range. SANDBAGS are for the sole purpose of bracing your gun not to hold targets, and must be returned to storage after use. ALL BRASS should be swept up after shooting and placed in the appropriate container in the shelter. ALL TARGETS must be removed after each range use and placed in the trash container in the shelter. The above rules may be suspended or modified by a simple majority vote of the officers/director for any sanctioned special event. If the range or facilities needs attention, including changing of the backboards, leave a note on the sign in sheet for the staff to correct. This is YOUR range, keep it clean, keep it safe. Safety is more than a set of rules! When more than one shooter is present, someone must be appointed as RANGE SAFETY OFFICER. This person will have the right to call a cease fire, assist other shooters if needed and close the range due to safety or weather. The range is always considered COLD. The firing line is always considered HOT. Eye and ear protection is a safety issue and should be used by all members and guests. No Exceptions. Guns are not to be cleaned or repaired on the firing line or in the parking lot. All guns must be unloaded and cased or holstered to and from the range. Know your target and what is beyond. Arrange all targets so you shoot straight down range and your bullets impact the berm and not the range floor. Never shoot at a flat surface. Do not carry rifles downrange when setting up or taking down targets. All pistols must be holstered. Only targets expressly approved by the Range Safety Officer may be used on the range. No cans, glass, bowling pins or other non-approved targets are allowed. Unload firearms while not in use. Store guns and ammunition separately beyond the reach of children. Know your firearm and required ammunition. Read your instruction manual.